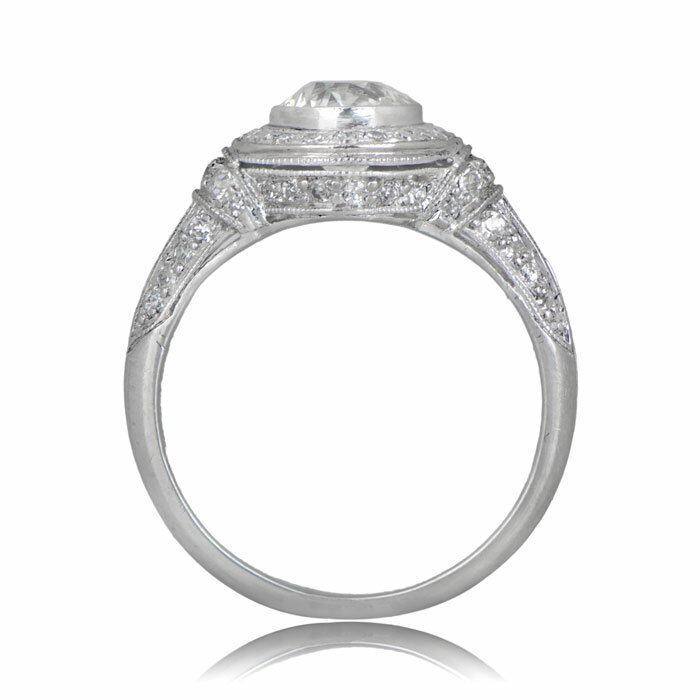 The 1920s is considered one of the most important periods in ring design for a number of reasons. The surge in the standard of design and craftsmanship was enormous and coincided spectacularly with the emerging Art Deco period that has remained incredibly popular right up to the present day. Another reason for the roaring twenties being so important is the number of famous Art Deco jewelry designers who made their mark on the jewelry design business, and whose names still resonate among dealers and collectors even now. Some, even despite their creations being out of the price range of most people, have gone on to become household names the world over and always bring admiring nods when mentioned. To view our collection of vintage jewelry, click here. So who are these names? Cartier is without a doubt one of the most important jewelry houses in the world. Although by no means the oldest name in jewelry circles, Cartier is one of the most famous Art Deco jewelry designers. The Cartier company itself actually has its origins in clock and watchmaking. The company was founded in 1847 when Louis-Francois Cartier took over the workshop that was then his place of employment. It wasn’t until 2 generations later when Cartier’s grandsons Louis, Pierre, and Jacques turned the well-respected Parisian company into a global brand. Thus, the Cartier name became synonymous with quality and excellence in both design and production. The jewelry design ran alongside the watchmaking business for several years. In the early 1900s the Cartier designs, particularly the vintage Art Deco rings, started to attract the attention of the rich and famous. Perhaps even more importantly, Cartier became appointed jewelry makers to many of the world’s royal families, particularly those around Europe. These families were, at the time, still the world center of royalty and crown princes. This increased recognition and demand came during a time when Art Deco was starting to dominate the hearts and minds of designers everywhere. Maison Cartier was no exception. With connections in very high places, Cartier-designed rings, tiaras and other pieces to be seen in every newsreel and every paper. More importantly, their jewelry was visible in the ever more publicity-driven world of the movies. Suddenly, Cartier was everywhere a movie star could be found, with designs being worn by any Hollywood actress who was anybody, from Gloria Swanson to Grace Kelly, from Marlene Dietrich to Brigitte Bardot. Now, mention the name Cartier and no explanation is needed as to who Cartier is or what they do. It may be a case that the first names of the original founder and his descendants aren’t easily recalled, but don’t the most famous Art Deco jewelry designers only ever need a single name to be instantly recognized? What is probably less well known is that it was Louis Cartier who pioneered the use of platinum in jewelry making, an innovation which has made the metal the go-to material for engagement ring settings. And did you know that the present 5th Avenue Cartier building was bought for $100 and a string of pearls? Despite probably now being associated with jewelry of the rich and famous, the Cartier tradition of watchmaking lives proudly on as a core part of the company product lines. History has its place and, for some names, that place is still here today. Tiffany & Co. (never “and”, always “&”), founded in 1837, is one of the most famous Art Deco jewelry designers and is one of only two companies in the global Top 100 Companies list along with Cartier. History of Tiffany & Co. 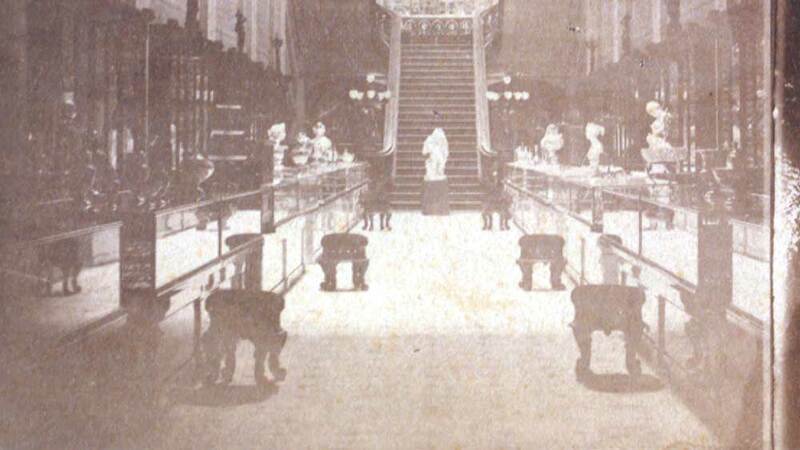 Opening the first store on Broadway, Charles Lewis Tiffany and John B. 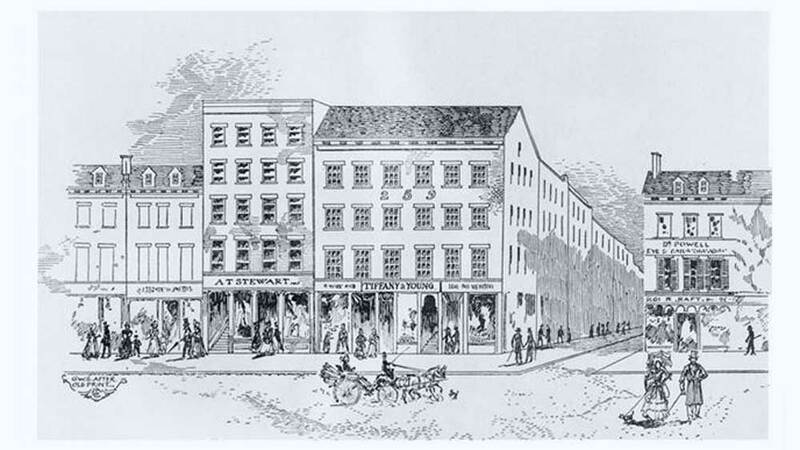 Young set about selling stationery and fancy goods to up and coming New Yorkers in a city that was expanding faster than the supply of such items could keep up. It wasn’t long before the men branched into jewelry design. They set their eye on the new money that was gravitating towards the massively expanding metropolis. Their reputation rose after the award of the grand prize for silver craftsmanship at the Paris World’s Fair in 1867. Within five years, Tiffany’s establishes itself as the premier jewelry house for quality jewelry, vintage Art Deco diamond engagement rings, and silverware. In the next two decades, the company opened branches in London, Paris and Geneva, employing over 1000 people. It was during this period that the Tiffany Setting for rings came into being, where Charles Tiffany had the idea to raise the diamond from its traditional bezel setting in order to show off the current brilliant cut diamonds to the best. 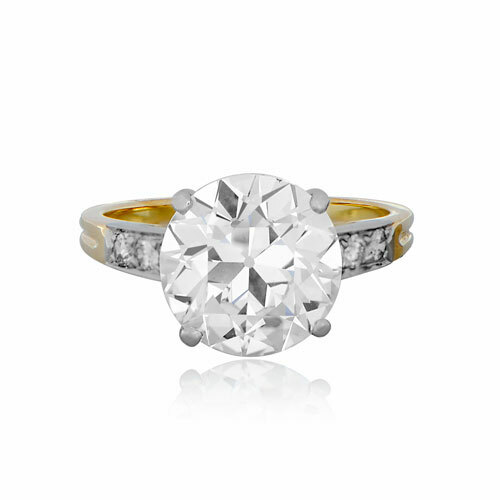 It is this design that still dominates the world of engagement rings today. 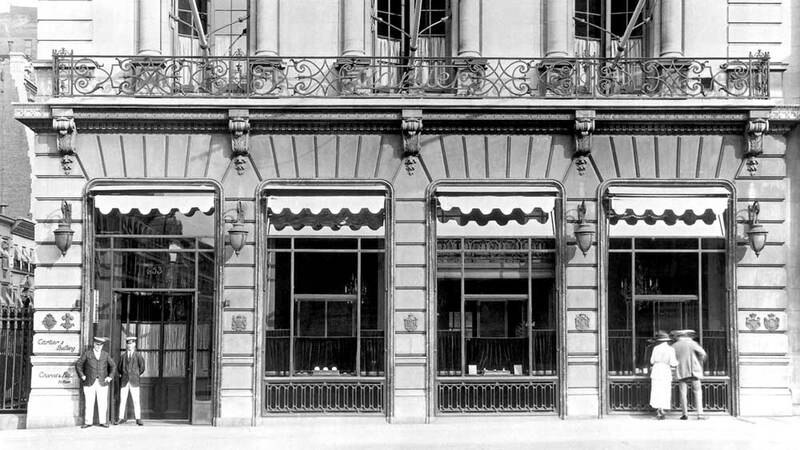 Where Cartier, one of Tiffany & Co.’s primary rivals among famous Art Deco jewelry designers, often preferred to set design trends rather than follow them, Tiffany & Co. embraced stylistic and societal changes in their designs, and came to dominate the landscape of interior decoration including being the official supplier of china to the White House for state dinners. Tiffany’s also became the jewelry supplier of choice to several presidents, starting with Abraham Lincoln in 1962. Apart from wearable pieces such as vintage Art Deco diamond engagement rings, football fans will be delighted to know that The Vince Lombardi Trophy, presented annually to winners of the NFL Super Bowl, was designed and made by Tiffany & Co. in 1967. The company continues to be responsible for producing the trophy to this day. It may seem unusual that we include in this list a jeweler who died in 1881, long before the period of famous Art Deco jewelry designers we are discussing. But such was the impact of James Emmot Caldwell on jewelry design. His legacy can’t be overlooked. Although Art Deco is very important to the design trends of the 1920s, the earlier Art Nouveau was very much dictated by jewelry designers in the Caldwell workshop on the corner of Juniper and Chestnut in Philadelphia. Already leaders in their field, when Art Deco came along, the design and quality principles set in place by JE Caldwell came alive, leading to the Caldwell name being synonymous with superior Art Deco pieces. This reputation has continued to this day, despite the company officially closing its doors for the last time in 2003. In the china and pottery boom period of the late 19th century, such major English pottery makers such as Spode and Minton were still making the finest chinaware which carried the Caldwell name. This willingness by major designers and manufacturers of all manner of products to be associated with the Caldwell brand is an indication of the esteem in which JE Calwell and his legacy were regarded among famous Art Deco jewelry designers across the world. As with the old art masters whose works have long outlived the lives of their creators, pieces made by the Caldwell company are highly sought after and very much in demand by collectors worldwide. Rare vintage Art Deco diamond engagement rings and other pieces can fetch up to $120,000 on the open market and their quality rivals anything produced by much bigger and better-known names in the world of fine jewelry. Considered to be the nation’s oldest jewelry company, BB&B started life in 1832, pre-dating more famous Art Deco jewelry designers such as Tiffany and Cartier by several years. 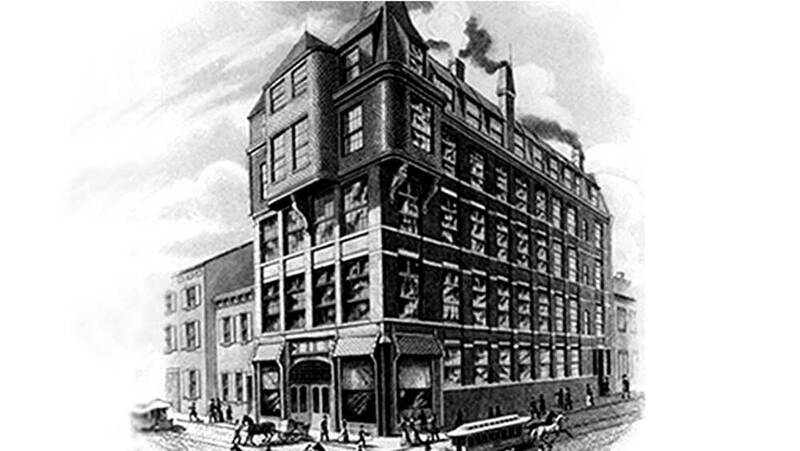 By the late 1860’s, this firm was considered to be the finest jewelry maker in America and the company is indelibly linked with the American military, producing many medals, swords for prominent Union commanders during the civil war and even the proposed currency for the envisaged Confederacy-led nation during the same period. Where Tiffany & Co. became the choice of presidents when buying jewelry for their wives, many of those wives actually chose Bailey, Banks, and Biddle with whom to do their shopping, including Mrs. Woodrow Wilson. The link to the White House was settled forever when BB&B were asked to do a design for the Great Seal of the United States, a design which is still in use today. The Bailey, Banks and Biddle name is still renowned among famous Art Deco jewelry designers. Their status within the ranks of the military for their designs on medals is unparalleled. Sadly, as time has progressed, the original BB&B company eventually dissolved. Having changed hands several times in the early 21st century, the company filed for bankruptcy in 2009. Rescued by new owners from the terms of the bankruptcy agreement, the company is now a retailer of high-end jewelry but no longer a designer and manufacturer of vintage Art Deco diamond engagement rings. Interestingly, both BB&B and Tiffany lay claim to being the ones who introduced the 925 Sterling Silver to the US, bringing silver quality in line with the British standard that was used in the rest of the world. Officially, the award goes to Tiffany’s, but BB&B make a strong case for the honor. If you want style, buy Italian, but if you want style, buy Milanese, or so the saying goes. 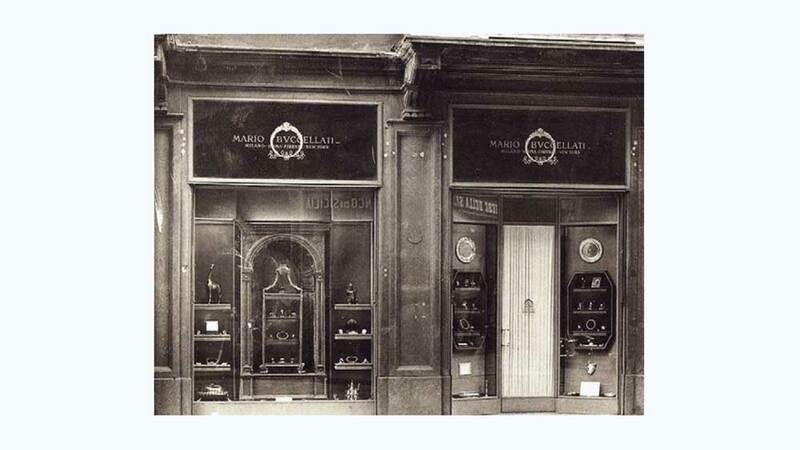 Mario Buccellati opened his first store in Milan in 1819. It didn’t take long for him to become an in-demand designer for the wealthy residents. He also became a trusted confidant to those requiring jewelry for lovers under the most secretive of circumstances. With a growing reputation and orders coming in from across the world, Buccellati rose to prominence among famous jewelry designers. He expanded his string of stores to include two in NYC and has gone on to establish a presence globally. 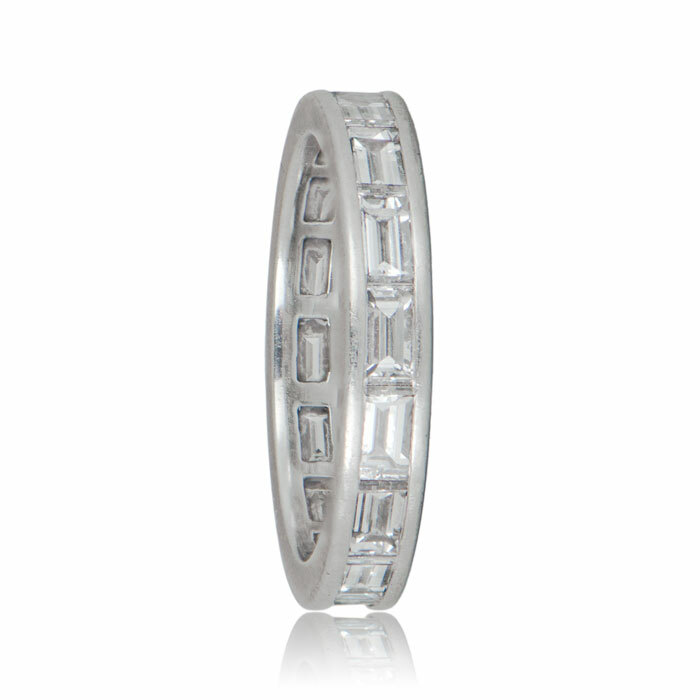 Famously Milanese in style, the Buccellati name is considered one of the very best names for quality vintage rings. 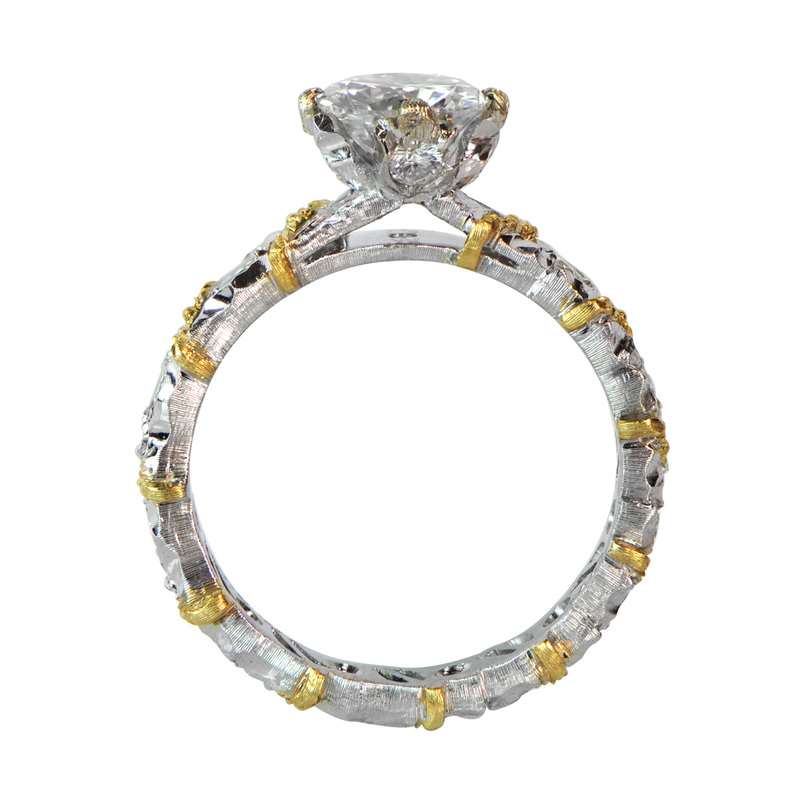 Buccellati is one of the only jewelers to have been presented in a dedicated exhibition at the Smithsonian Institute. Buccellati took a somewhat back-to-front route to their product line when compared to many other famous Art Deco jewelry designers. Most established jewelers started out as watchmakers and expanded into jewelry design as demands changed. Buccellati, on the other hand, only introduced watches to their catalog in 2001. Their watches soon joined the ranks of the likes of Cartier. To view our collection of rare vintage signed jewelry, click here.